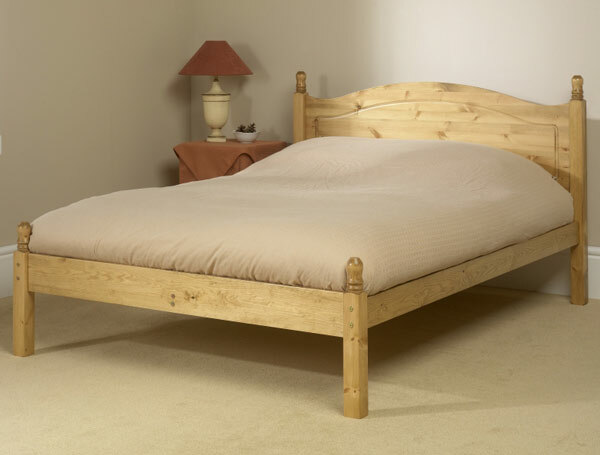 Friendship Mill bed frames are made from slow grown Scandinavian timber which is stronger and wears better than Brazilian fast growing pine. Each bed is made to exacting standards from the finest Scandinavian timber from sustainable forests were for every tree felled another one is planted in its place. The Orlando is available in all sizes from small single to king size and is available on a next day service. in antique colour and 7 working days in Natural or Laquered .